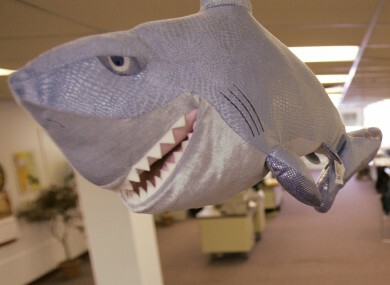 Families began to turn to loan sharks during the economic downturn. GARDAÍ ARE CURRENTLY investigating three cases of suspected illegal money lending across the country. Over the past year, there have been no prosecutions recorded for the offence but gardaí have confirmed that, since May 2013, three probes have got underway. Two investigations are ongoing and, in the third, a file has been sent to the Director of Public Prosecutions seeking directions to charge. The figures cannot be compared with pre-recession years as the Garda Pulse system only began a new incident category for unlicensed money lending last year. However, former Justice Minister Alan Shatter had previously revealed that there was nobody jailed between 2005 and 2012 over moneylending activities under the Consumer Credit Act. There have been at least 91 charges for harassment brought under a separate law – the Non-fatal Offences Against the Person Act – which also covers money-lending, but it should be noted that this offence has ‘wider application’ and that there is no information available about whether any of these cases related to money-lending activities. Money lending without a licence is illegal and anybody found guilty can be fined up to €3,000 or imprisoned for up to five years. During the depths of the recession, charities warned about a potential crisis as many families turned to money lenders for high-cost loans to help cover household costs and special occasions. Some loan sharks charge interest rates of up to 190% with door knocks at homes looking for repayment commonplace. Charity sources told TheJournal.ie that illegal moneylenders are still active throughout communities. St Vincent de Paul encourages its clients not to turn to money lenders, but understands how they seem like an attractive proposition, especially around times when a certain, set amount of money is needed. Currently, families are trying to get money together for back to school costs. However, it is difficult to get exact statistics on usage as many people are reticent to talk about their experiences. Currently, there are 41 licensed moneylenders operating in Ireland. That number has not changed significantly over the past years but has fluctuated between 40 last year and a high of 48 in 2011. Licensed moneylenders must follow a code set out by the Central Bank, a European consumer credit agreement and the Consumer Credit Act. The regulator uses mystery shopping, inspections and consumer intelligence to police the sector. Recently, the Minister for Finance said the Central Bank will continue to “monitor this sector closely and to take action, where necessary, to protect borrowers’ interests”. Michael Noonan also noted that a distinction must be made between licensed and unlicensed moneylenders. “The Central Bank has no power or regulatory role in regard to unlicensed moneylenders and reports suspected cases of unauthorised moneylending activity to the Garda Síochána for further investigation,” he explained. Email “No prosecutions but three garda investigations into illegal money lending”. Feedback on “No prosecutions but three garda investigations into illegal money lending”.